If you live in Brentwood, you will certainly want to keep your home looking its best, which might sometimes call for garage door repair Brentwood CA. Over our years in the business, we’ve seen every type of garage door and every sort of garage door problem imaginable. We can help you keep your garage doors Brentwood CA in excellent condition, whether your doors are old or new, custom-made doors or from a brand like Unique, Amarr, Genie, LiftMaster, or Wayne Dalton. 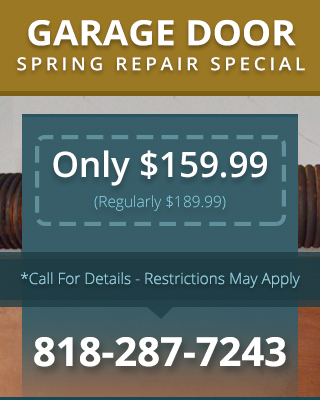 We specialize in garage door spring repair Brentwood CA. Dealing with broken springs can be dangerous, but our skilled technicians have the experience and the safety training required to do the job right the first time. 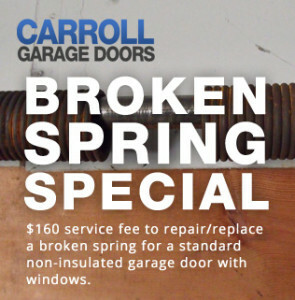 Ask us about our special pricing offers for garage door spring repair.